Any business thrives on goodwill and trust. And almost any business will face controversies that threaten its reputation. Fortunately, it is possible to preempt most threats and secure your business reputation online if you follow these 5 simple steps. On the Net, you have only a few words and a couple of photographs about you and your business instead of your live, dynamic personality to charm your way into people's circle of trust. List your real name, address and contact details along with your brand so that you show up as both real and reachable. Put up a profile pic that shows off your best traits - in the context of your business. It wouldn't help to show yourself in a party mood if you are not a professional clown. Put up also photographs that display your business. Make people acquainted with your staff and your office environment. Add real testimonials, videos, if possible, to prove your track record. In addition, have a dedicated 24-hour support staff ready because you will be catering to people all over the globe with their own time zones. Prompt response to customer query is one of the indispensable tricks of the trade that secure your reputation anywhere. Doubtless, you will want to draw customers from social sites. However, the keyword in social media marketing is 'social'. And that means, you must choose well. Decide which sites (and their regulars)are the most appropriate for your business. Further, narrow down your target audience profile. Decide upon the kind of exposure and publicity you are aiming for. Random posts on random sites will show you as a random presence, to be dismissed without a second thought. There must be a complete strategy regarding what you are going to promote and when. A product launch in your store or website should, ideally, be done in concurrence with social media event announcements. Similarly, your plan should include having a social media team ready to reply to queries immediately. If you disappear after making a post, visitors will likely find a series of unanswered queries and decide they are better off without you. You should factor this in also when deciding upon how much time you can afford to spend, and on which sites. Your presence must be constant and committed to build an equally dedicated network. There are several methods to use if you wish to hear about yourself, and you should use them without hesitation. Controversies can erupt out of innocuous comments, and you will never know what hit you if you were not listening in. The methods include using Hootsuite and Google Alerts, but there is much more, and you should take the time to properly investigate your options and put a plan in place. You should actually have a policy regarding how you reply to criticism and particularly nasty comments. After all, you will not be doing everything personally, and one wrong reaction from your support staff to a single irate customer can do serious damage to your reputation. Actually, negative remarks can be a goldmine of opportunity to display yourself to your target audience and to people in general. Your policy should emphasize upon not getting personal while replying. A polite reply that gets to the point as well as gets the job done (if there is a job to be done) is better than trying to talk down an admittedly impolite customer. If the fault is yours, try to post a reply with an apology and have a plan to somehow compensate the customer for their trouble. This could be a small gift or a huge discount - it is, indeed, the thought that counts, and the fact that others can read about your thoughts as well. If you decided to expand, you could give your business to your children or spouse - you could even want to sell the business and settle down for an early retirement. The brand reputation matters most, in most cases. You must focus on exhibiting a group effort, leaving aside the urge to show off that you are the person behind all the success. When you are good, people will know - you don't really have to try so hard! 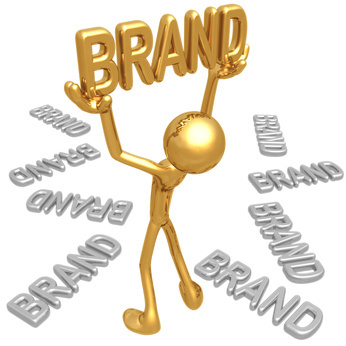 Build your brand, instead, and focus on key-points that are your hallmark. Let people know what to expect from you, and always deliver. Display the kind of services you provide - as also the types of problem you solve. Make your brand a specialist - the only one that people will approach in case of certain specific problems to be solved and services to ask for. That's about it, and the rest will come to you in bits and pieces as you move forward. Be committed and have a plan to show your commitment: that's more or less all you will ever need to secure your business reputation online and stand out amongst your competitors. Cally Greene is an online consultant for JoeyGilbertLawattorney. She likes blogging about Legal issues, Business law, Family Law and Social Media.